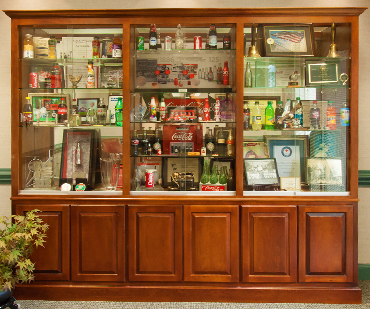 Throughout its existence, Rock Hill Coca-Cola Bottling Company has been actively involved in the life of Rock Hill and York County. 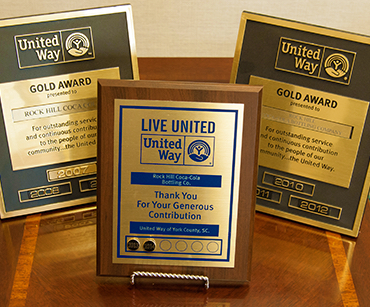 Whether in the arts, athletics, or education, Rock Hill Coca-Cola Bottling Company has sponsored events, donated time and products, and created and supported endowments. Many of the scoreboards at both Rock Hill School District and Rock Hill Department of Parks, Recreation and Tourism exist because of the generous efforts of Rock Hill Coca-Cola Bottling Company. At Winthrop University, Rock Hill Coca-Cola Bottling Company has sponsored the Rock Hill Coca-Cola Academic Resource Center, a facility dedicated to the academic success of Winthrop’s student athletes.